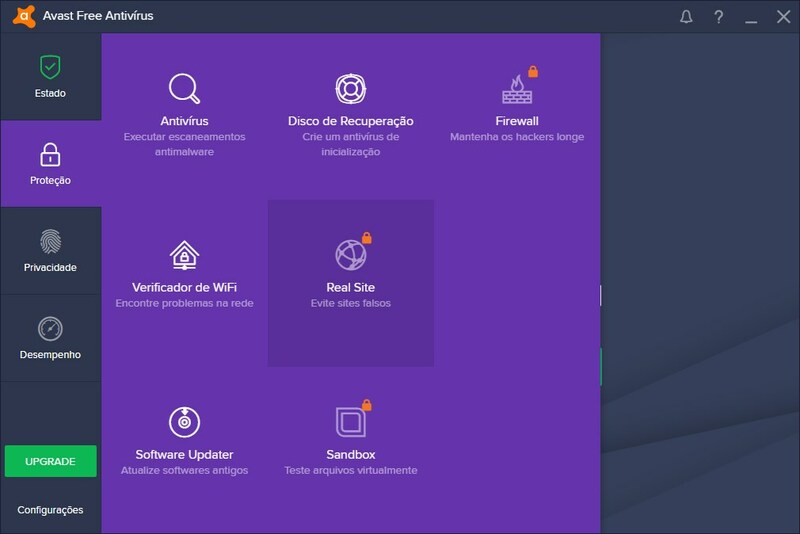 This version of Avast Free Antivirus 2019 is not compatible with your operating system, veja a versão compatível. Acompanho os testes das principais empresas que testam antivirus AV COMPARATIVES, AV TEST E MRG EFFITAS e os melhores antivirus que estão tendo são avira, avast e avg os 3 melhores antivirus atualmente sem muita diferença um do outro recomendo qualquer um dos 3 eu usei o avira e agora uso avast os dois são otimos. Excelente, mas para ele pegar malware,spyware,adware,rootikts,trojans e outros com mais facilidade, o usuário deve fazer alguns ajustes em seu PC!!! por isso se você é um leigo no assunto não faça comentarios infelizes..
Want to know the premium version of the software? Click here and get a 25% discount ! 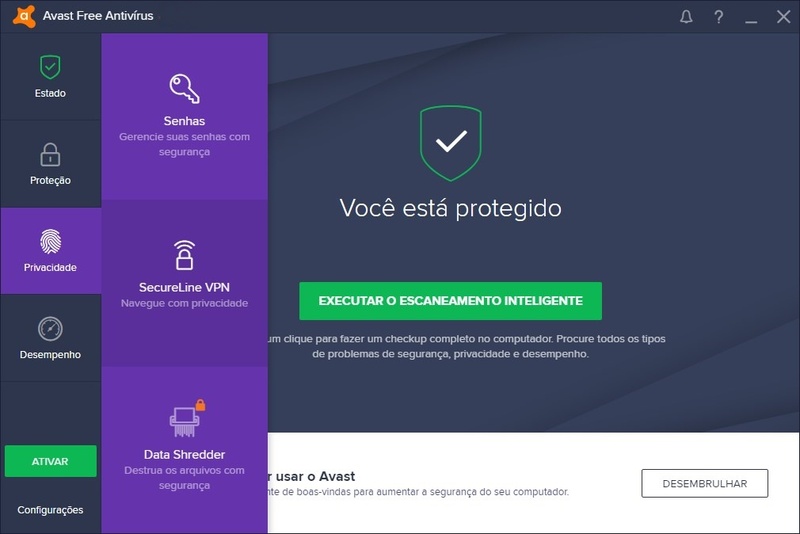 Avast virtually lacks presentations, but if you still do not know it, know that it is the antivirus most used by Brazilians. It has a number of features to protect your computer from traditional virtual threats, and now with its 2019 version, it has brought some tools to further enhance the level of user protection. Despite this, the biggest highlight of the antivirus remains "Intelligent Scanning," which scans your PC quickly for possible security breaches on multiple fronts. Basically, the program confers: compatibility issues, viruses, outdated software, suspicious extensions in your browsers, network threats, performance issues, and weak passwords. After doing this quick scan, you can click "Fix it all" and go working each of these points to make your PC more secure. It is interesting to note, however, that some " Correct All" topics can not be run with the free version of Avast, so you need to at least purchase some add-ons. In addition, virus scanning for this procedure is very basic and should not be used as the primary. Ideally, access the program settings and schedule scans there. The 2019 version of Avast! has brought a number of feature enhancements that were already available in the previous generation of the antivirus, but also implemented some new features intended to increase user security without slowing down the machine. This real-time protection module basically keeps an eye on the activities of all applications running on your system and compares these actions against a database in the cloud. If a PDF reader, for example, tries to download some executable file on the web, Avast! prevents the activity from being completed, preventing a potential security breach from being exploited. We can also comment on "Game Mode", which is basically a new feature that identifies games on your PC as you perform them in full-screen. So Avast! is automatically muted and also pauses updates from Windows and the antivirus itself to save bandwidth and deliver more performance to the game if it runs online. 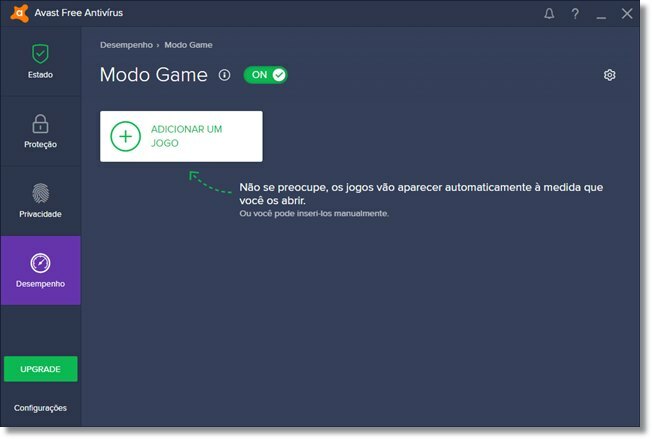 This module can also dedicate more processing power to the game, and you can include other non-game software in the Game Mode list so that they receive the same treatment. If you use some video editor, for example, it might be interesting to put it on that list. Other than that, Avsat's "CyberCapture"! now runs faster, isolating threats by sending them for scanning on the antivirus servers, and the old "Home Network Security" has been updated to be more efficient. Note that some versions of Avast! do not have those resources released for free. One of the most interesting features of the Avast 2019 version is its "Privacy" section. This was included in the antivirus because the personal information that the user keeps on the PC is being considered more and more valuable by hackers and espionage agencies. That way, a modern antivirus needs not only to protect your computer against malicious software, but also to help you prevent your data traffic from being intercepted on the web. To do this, the privacy section has a password bank, where you can safely save all your online account passwords, and you can no longer save them in your browser. That way, whenever you access a site that required login, Avast itself is who will enter your password and username. It is interesting to keep this in a safe place like this because your browser can be easily compromised by virtual criminals. If they can get all the passwords you have saved, your life can be turned upside down. The Software still has the integrated SecureLine VPN so you can browse the web in an encrypted and anonymous way, avoiding any type of data interception. This feature, however, needs a separate signature to work. Finally, there is a file destructor that "shreds" any folder or document you have stored on your PC so that it can never be accessed again, not even with professional file retrievers. However, this feature is only accessible when you upgrade the software to the paid version. The new Avast Interface has also been updated. The focus now is to make more information accessible already in the first window, thus avoiding unnecessary transitions. So, on the side of the program window, you will find four main topics: State, Protection, Privacy, and Performance. Unlike in previous versions, each of these sections simplifies some useful features. Overall, all modifications we encounter are essentially a great simplification of the interface compared to previous versions. The purpose is to show only important functions and settings required in the first screens. The four topics are now displayed in very large graphics and in a solid color scheme. This is especially interesting for those who use computers with Windows 10 touch screens. - Migration of all our users from SafeZone to the new Avast Secure Browser. - You will now be linked to a specific help article when the Wi-Fi Inspector encounters a vulnerability. Avast is not the most commonly used antivirus by Brazilians by chance. The software truly manages to deliver interesting efficiency and a high level of reliability for free, and in its latest version has reorganized its capabilities to make its use more practical. The biggest highlight is certainly Avast Passwords. This function acts as a password bank integrated with the antivirus that allows you to register credentials of sites such as Facebook, Gmail, Twitter and any other that required login. After that, you can enter them quickly without having to enter your data repeatedly. Even so, the user is protected under a master password in Avast, which is much safer than letting the browser itself save its credentials automatically. On the downside, this feature only works with Google Chrome and Firefox . The Avast interface has been reshaped and, this time, is visually cleaner. The color scheme became more solid, with the window predominantly dark blue and highlights in purple. The important buttons have become more prominent, and the organization of the main menus is now more visible and practical. On the side of the window, for example, you will find four topics for almost every possible action in the program. With just one click on the home screen, you can do a smart scan. Avast scans were much faster after the Nitro update was implemented. With this, the software started to count on a new technology of protection that is more efficient in several points, including in the scans. That's because a lot of the processing that was done locally now is sent to Avast servers, which are not only far more powerful than your PC but also make it possible to make more detailed scans regarding possible threats found on your device. Of course this will require a continuously connected computer at these times, but Avast still has local off-line protection modules to keep you safe when you are not using the web. The scanning methods have not changed, and you still have the same scheduling and manual startup options. With this new technology, Avast became "lightweight" not only during its checks, but also at system startup. It does not get in the way of most Windows startup, which leaves your PC ready to use faster after it is turned on. Yes, Avast is a fairly secure antivirus for a free solution, and still offers some practical features, such as Avast Passwords. However, the developer could make deep scanning programming simpler, which would make the users' PCs really secure. Of course, real-time protection, which is already enabled by default, prevents new threats from settling in, but if something goes unnoticed, only a thorough check could identify it.